Today I want to share with you a card that I've made for a challenge that Im entering. This Christmas I found it a little sad when I did not give out one hand made card, because I made cards for other people to pass out and didn't have any on hand for myself to hand out. This year will be different, I will start early and build a stash throughout the year that way I have no excuses to not hand out ones Ive made. I stumbled across a blog that Challenges me to do just this. Every Monday they post a theme, colour scheme, inspiration photo, or technique/embellishment or sketch that is required on the card, and the rest is up to you to choose. 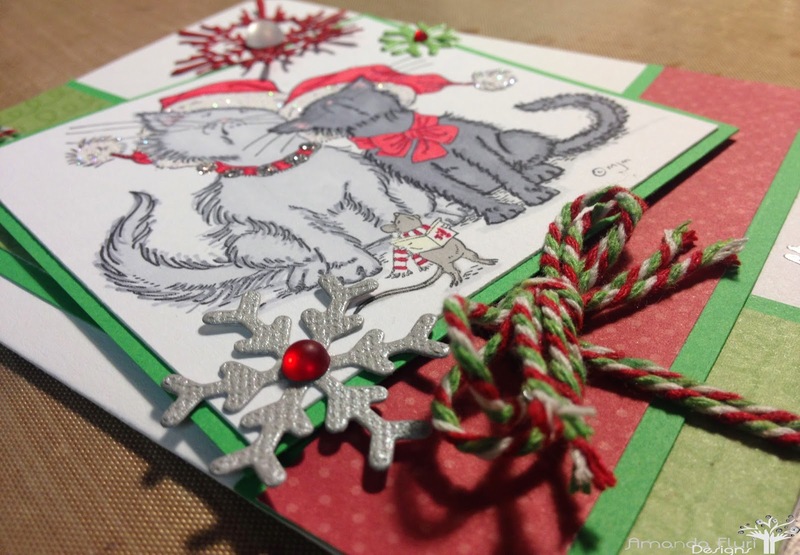 I am so lucky to have stumbled across this blog because it's going to encourage me to get cards done and give me a deadline, and a friendly competition at the same time. Once a week I will be posting a Christmas card here that I have entered for the challenge, and thats just one of the things that you can expect from me in the new year. 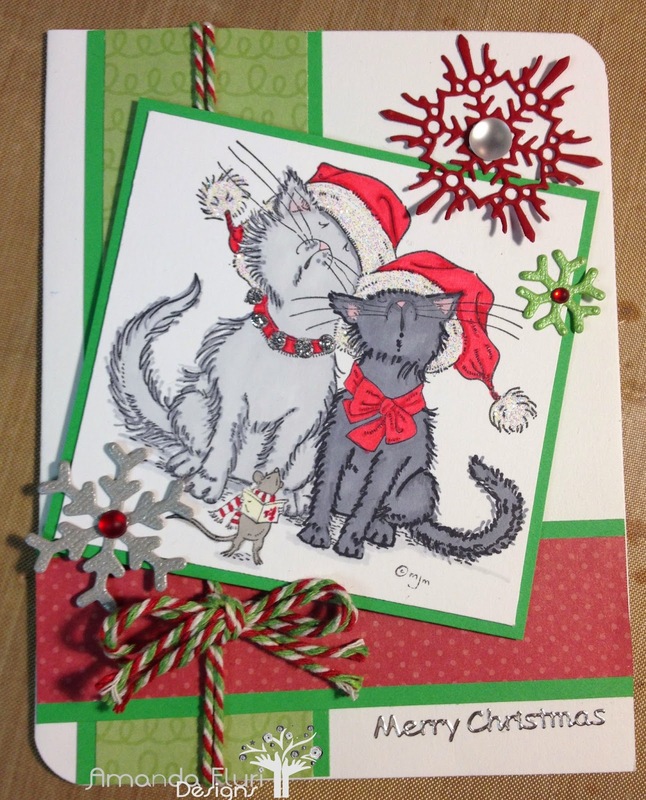 I don't have to much time today to share with you how I went about Creating this card, however I will do my best to link to the supplies used at the bottom. Some of the supplies used were from my scrap box so I may not have a link for it. To take this one step further, I have decided that for every card that I enter for this challenge I will make doubles. That way I have more cards on hand. Bakers Twine - used for the bow. I hope you all enjoyed this card, and I cannot wait to come back with another one. Love this sweet image! 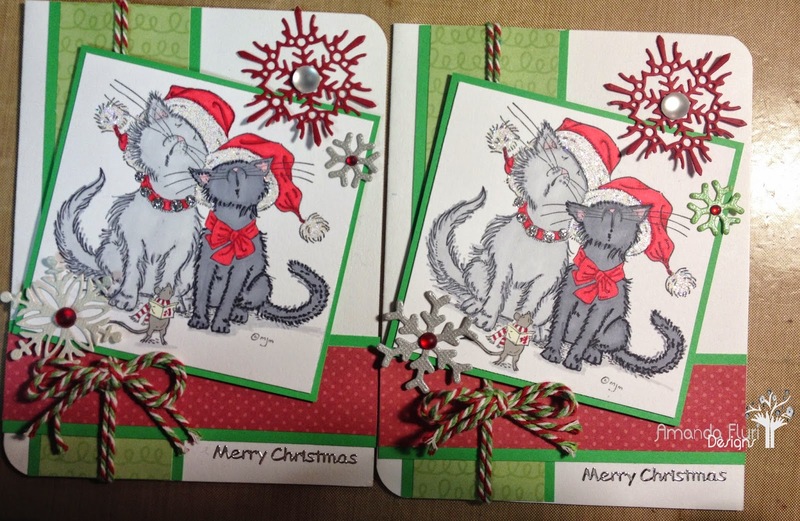 Two wonderful cards all ready to go! I'm glad you're going to be joining us at Merry Monday, Amanda. It's so much more fun to have a stash of cards to send out! Thanks for sharing with us! Those kitty cats are so adorable and they are colored beautifully! 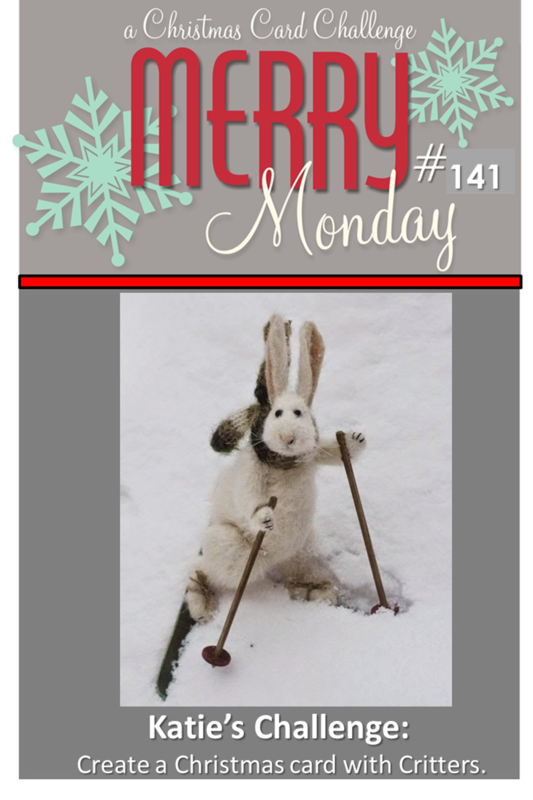 Thanks so much for joining us at Merry Monday!